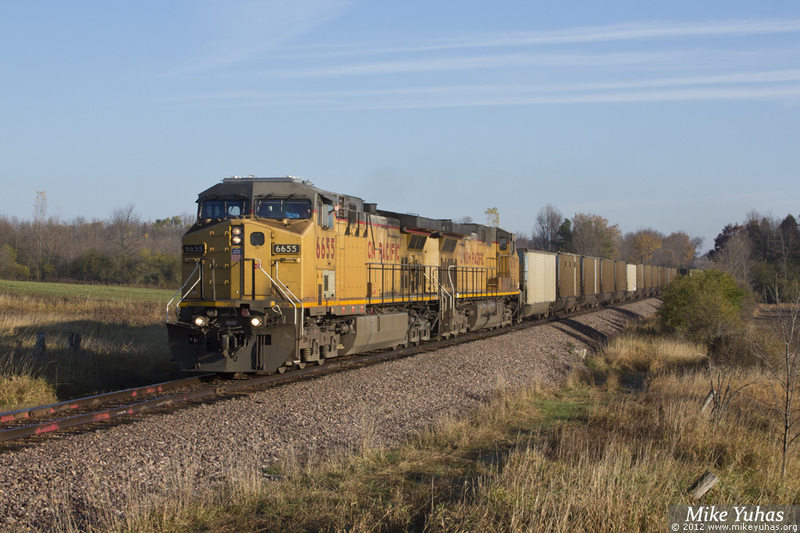 Empty EDGX hoppers - 134 of them - head south on the Shoreline Subdivision in the town of Grafton, Wisconsin. This is train CSHET-20, and its eventual destination is the East Thunder loadout near Wright, Wyoming. If all goes according to plan, this trainset will be back in Wisconsin, headed for Sheboygan, in about a week.